Virtual credit cards are a great way to ensure the safety of your credit card information when you make purchases online. Credit card fraud is a very popular crime with millions of cases happening each year, the number one culprit for credit card fraud is online purchases. You can trust websites like walmart.com and amazon.com when making purchases, they are obviously legitimate, but there are plenty of second and third tier online retailers that you cannot trust with your credit card numbers and sleep well at night. Virtual credit cards are very simple. If you are hesitant about giving out your real credit card numbers to a retailer online but you still want to make a purchase you can opt to get virtual credit card numbers. The virtual numbers will allow you to purchase the items you wish to buy like you normally would and the purchase would be linked to your account like it would for any other purchase. However, instead of using your normal credit card numbers you will use virtual numbers that will just work for a short period of time. The virtual numbers protect your real credit card numbers so even if you do come across a scammer online you should be okay. Believe it or not virtual credit cards are not too popular. Most credit card companies offer virtual credit cards as a complimentary, free service to their customers. VCC’s still have not caught on for two different reasons. The first reason is that many people simply do not know that VCC’s exist, their credit card companies did not advertise this service and virtual credit cards are not the most interesting thing in the world so people do not go around talking about them. The second reason is that people have become so used to buying things off of the internet that they do not expect to ever come across a fraudulent seller. While the vast majority of online retailers are completely legitimate, it is always better to be safe than sorry. You will only have yourself to blame if you end up getting in a bad situation with your card when you knew that this was an option. It is a “buzzkill” when you are excited about making an online purchase and you have to go through the 10-15 minute process of getting a virtual credit card set up, but you will thank yourself later when you are 100% sure that your money is secure. 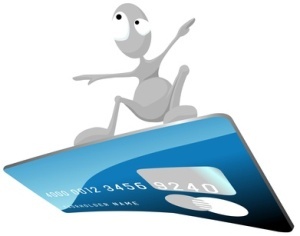 Think of getting a virtual credit card as buying insurance, except that it is completely free! The only possible case someone could make against using a virtual credit card is that they are unnecessary and a waste of time. While most online transactions go through without any trouble it is better to be safe than sorry. The first time you set up a virtual credit card it may take you up to 30 minutes because you do not know what you are doing, but like anything else practice makes perfect. By your third or fourth time of setting up a virtual credit card you should be able to get everything set up in 10 minutes from start to finish. Virtual credit cards have not caught for whatever reason, but they obviously have their purpose. When the biggest argument against something you can make is that it is an inconvenience you know that it is a pretty good deal. Identity theft is becoming more and more popular and identity thieves are getting smarter and smarter, fight back by using a virtual credit card.